When you have a market as large and as vibrant as the cryptocurrency market, it can be hard to navigate all the websites out there, all of the apps that get released on a daily basis, and all of the cryptocurrency exchanges that you can choose from. This applies no matter if you are looking to purchase cryptocurrencies for fiat currencies or exchange between different cryptocurrencies. One of these exchanges that have been getting a lot of press lately is Zebpay, a cryptocurrency exchange and wallet provider based in Singapore. Zebpay’s main office is in India, in Ahmedabad, Gujarat, and it is mostly focused on servicing the Indian market. However, since the Indian market is so huge, the app often tops the finance section on both Google Play and the App Store, attracting the interest of cryptocurrency enthusiasts worldwide, especially in Japan, Europe, Canada and the USA. 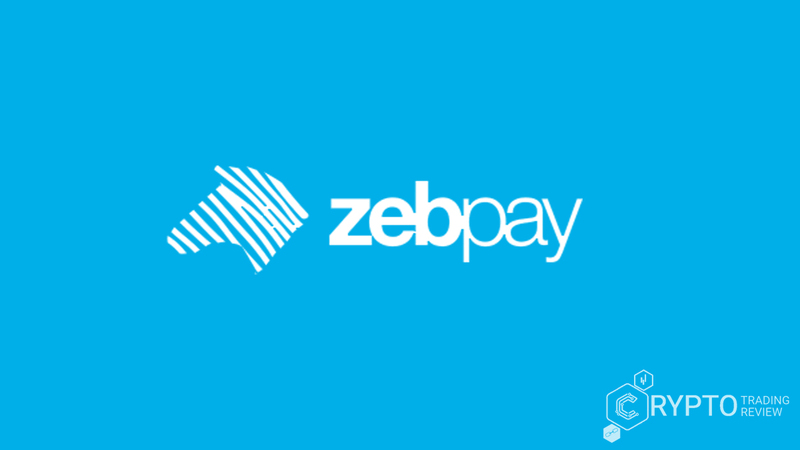 In our Zebpay exchange review, we will aim to tackle some of the more common concerns that new users might have, including questions regarding the app, charges, the Zebpay promo code, the newly enabled Bitcoin Cash purchases, Zebpay fees and the Zebpay wallet. There are two things Zebpay exchange focuses on: its cryptocurrency trading and the Zebpay wallet. Both can be accessed by downloading the Zebpay app, Zebpay’s main product. Zebpay has been around for a long time. In fact, it is India’s first and oldest Bitcoin exchange, founded in 2012 as Buysellbitco.in by Mahin Gupta. When Sandeep Goenka and Saurabh Agrawal joined Gupta as partners in September 2014, the company was rebranded as Zebpay and became the Zebpay we know today. The app was the first of its kind launched in India. It is praised for its simplicity more than anything. All you need to make a transaction is a mobile phone number, so there is no advanced knowledge required, as users are not expected to keep track of Bitcoin addresses. Also, the Zebpay app is widely considered to be very secure, which means no need for backups and no fear of displacing your funds. The Zebpay wallet works similar to an ATM – a 4-digit PIN unlocks most of the options, including buying, selling, storing and spending cryptocurrencies. For a long time, Zebpay was Bitcoin-only. 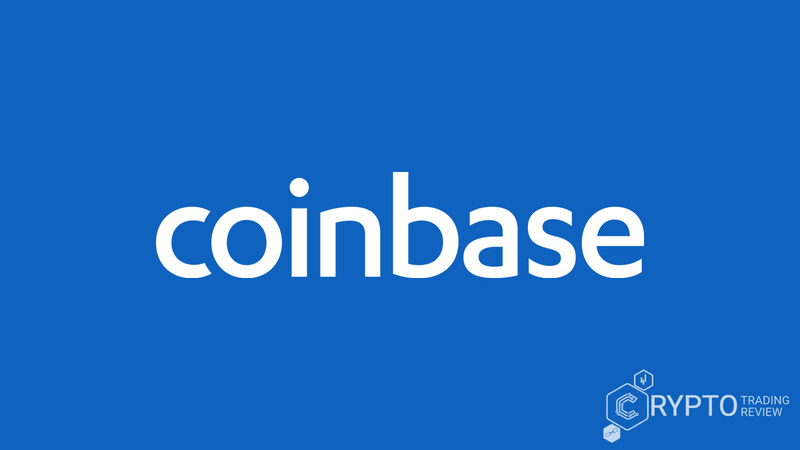 In January of 2018, however, Bitcoin Cash support was added, with Litecoin functionality being enabled not long after. But the history of this company reaches much farther in the past. The following part of our Zebpay exchange review will show you just how much farther. By October 2017, the Zebpay app had already hit the all-important milestone of one million downloads across Google Play and Apple’s App Store. For the founders, this proved that they were on the right track and that the idea behind Zebpay appealed to regular people interested in cryptocurrencies. Before Zebpay, which was founded in 2014, Bitcoin was already gaining traction, but getting into Bitcoin trading was very impractical for the average user unacquainted with Bitcoin addresses and not tech-savvy enough to master all the technical details like wallets, private keys, etc. The aim of Zebpay was to make Bitcoin available to everyone. In a way, Bitcoin was already available to everyone through cryptocurrency exchanges. A cryptocurrency exchange is a service which brings buyers and sellers together on a shared platform and allows them to buy/sell cryptocurrencies of their choice for a previously determined price. What the founders of Zebpay wanted to do was simplify the process and make buying/selling Bitcoin as simple as exchanging messages on the phone – using a simple, instant app. They decided to target mobile phone users and cover that market first since most people access the Internet through their mobile phones in India. Even more importantly, the majority of users discover the Internet for the first time through mobile phones. The mobile marketplace simply grows faster and spreads easier than personal computers or other technologies. That is why, instead of developing a website first, the developers decided to only develop an app, with a basic website on the side, whose purpose is to connect with Zebpay users and to share Zebpay news, updates and how-to YouTube videos. The approach appears to have paid off: the company currently has a 70% market share on cryptocurrency transactions in India. Trade volumes equal more than $11 million a day. Since Zebpay charges a transaction fee (0.5-1%), it quickly adds up, with revenues exceeding $2 million just for the first two quarters of 2017. When it comes to cryptocurrency exchanges, users usually gravitate towards the most popular ones – more users means better deals and shorter waiting times. Having solidified its spot as a market leader, Zebpay is looking at a bright future in India, and likely beyond. However, when the project was just getting started, it wasn’t all sunshine and rainbows. It was a different world, and there was no way for anyone to know that cryptocurrencies would ever get to the point where they are today. Finding investors was hard, among other things, because fewer people were even familiar with the notion of Bitcoin and cryptocurrencies in general. Trying to pitch the idea of a cryptocurrency exchange was challenging to say the least. “Zebpay app? More like Zebpay scam!” To anyone outside the industry, that’s what it sounded like. Since it was a very volatile market, the founders didn’t start the Zebpay project looking for a quick buck. They believed in the long-term success and sustainability of Bitcoin and cryptocurrencies in general. Of the three founders, the first one to discover Bitcoin’s potential was Mahin Gupta. A prolific software engineer, he worked for Zeus Learning before starting his own company, Triston Software Solutions. His company did a project for an Australian Bitcoin exchange in 2012. After he learned more about Bitcoin and blockchain technology, he saw what cryptocurrencies could become in just a couple of years. He also saw a lot of room for improvement and he believed that he had the vision to offer something new, as well as the determination to make it in the field, which was still very shaky and unforgiving. At the same time, Sandeep Goenka was keeping an eye out for emerging trends, since he wanted to start a company of his own focused on breakthrough technologies and new media. With an MBA from the SP Jain Institute of Management and after successfully running his family’s textile business, Goenka became an angel investor. His keen eye and the ability to recognize a good business idea led him straight to Gupta. Together, they teamed up with Saurabh Agrawal, another angel investor who was very experienced when it comes to investing in technology and building businesses, and started Zebpay. Although they came from different backgrounds, they were unified by the same goal: making Bitcoin more accessible to the average user. The three founders soon came up with a business plan and developed a concept which solved all of the common issues which prevented people from investing in Bitcoin. To test it out, they submitted the concept to the BitAngels Startup Pitch Competition held in Las Vegas in September 2014. Of the 300 Bitcoin-related startups at the competition, Zebpay was declared the champion. The success made Gupta, Agrawal and Goenka even more determined and made it easier for Zebpay to secure approx. $650,000 in funding, enough for the company to take off. After a rough start, the company gradually grew more and more popular, and after a great 2016, Zebpay was adding 200,000 new users each month throughout 2017. Aside from Litecoin and Bitcoin Cash, which were added in early 2018, Agrawal, Gupta and Goenka plan on adding Ripple and Ether to expand the exchange and make it easier to reach its goal of 500,000 new users a month. Time to start examining concrete details of the offer in this Zebpay exchange review. The website allows its users to trade three cryptocurrencies: Bitcoin, Litecoin and Bitcoin Cash. It may not be an impressive number, but it is certainly enough to get started with cryptocurrencies, not to mention that once you get your hands on Bitcoin, you can easily gain access to any other coin through a different exchange. With Zebpay, it’s all about simplicity and accessibility, which is why the signup process in essence boils down to just three steps. Number 1. You have to provide Zebpay with a valid email address. After verifying the email, upload your bank account information as well as details from your PAN card and Aadhaar card. Number 2. The second step involves making a deposit to your Rs account. Use your registered bank account to add the funds that you will need for trading. Number 3. After the first two steps, you are good to go! You can start off small and make a test purchase, just to make sure everything is running smoothly. In case you run into any issues, company’s customer service is there to help. Just check the Zebpay contact details. The first step may seem a bit restrictive and overbearing, considering you have to submit a lot of private information. However, these regulations were put in place to increase security and protect the exchange from scam artists. Additional safety measures include allowing only bank to bank transfers, adding a maximum of one bank account per Zebpay account, and using advanced blockchain analysis software to detect potentially suspicious transactions and withdrawals. In spite of the occasional drops and temporary massive spikes, the overall trend has shown that cryptocurrencies are on the rise. For the most part, Bitcoin, along some other big names, is now part of the mainstream and it is forcing lawmakers and regulatory agencies to come up with new laws and new guidelines on how to navigate the sometimes murky waters. Even people who have never before considered investing into anything are now feeling intrigued by the impressive numbers and the various widely reported records cryptocurrencies seem to be racking up. After all, it is hard to ignore the raw data: the total value of virtual currencies increased by 3,000% just in 2017. The value of Ethereum increased by 13,000% during the same period, and many are still dreaming of Bitcoin’s all time high of $19,783.06 late in December last year. 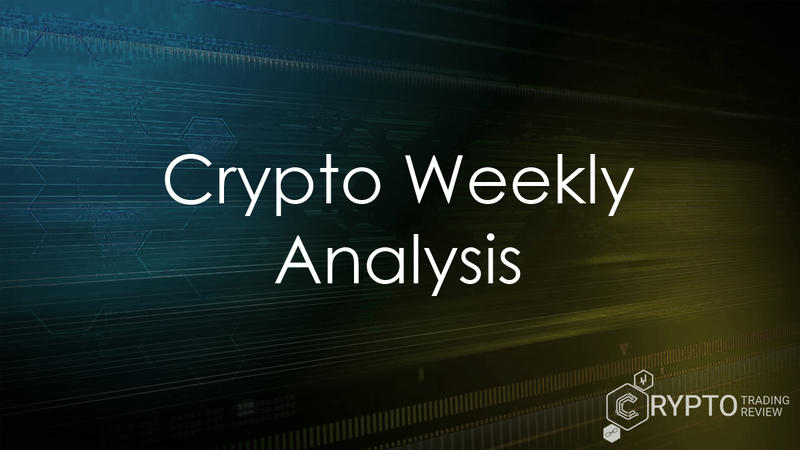 As the cryptocurrency market is slowly but surely recovering after a prolonged period of cryptocurrency prices going down, many are already speculating what 2018 may bring. Mirroring the success of Bitcoin and the cryptocurrency market in general, Zebpay has also experienced a lot of growth. With rising trade volumes, the team is working overtime to scale up the infrastructure needed to support the rising demand. However, the founders are very keen on warning prospective new investors to be cautious and to invest responsibly. The only way to get the most out of the cryptocurrency exchange is to get informed, to read a lot about the technology and to learn from the experience and expertise of older traders. After all, it’s a marathon, not a sprint, and once you get into cryptocurrencies, you’re in it for the long haul. Take calculated risks and never invest more than you are ready to lose. Lastly, although Zebpay works hard to make sure all funds are secure, the developers advise users to move their coins to a wallet which they full control over. If you possess the basic knowledge and know what a private key is, Zebpay recommends hardware wallets like Ledger and Trezor. For more than three years, since it was first launched in 2014, Zebpay only supported Bitcoin and nothing else. This all changed in January, when they added both Bitcoin Cash and Litecoin, with several other coins lined up for release in the near future. When Bitcoin Cash became available for trading, Zebpay also gave all users who owned Bitcoin prior to the hard fork in August of 2017 an equivalent amount of Bitcoin Cash. After initially letting its users withdraw their Zebpay Bitcoin Cash to external wallets, on December 14, Zebpay finalized its plans to enable Bitcoin Cash trading within a month and decided to credit the users’ accounts on its own when the option becomes available. However, even though it now has three cryptocurrencies available for trading, it is currently not possible to trade cryptocurrency pairs. Instead, digital currencies need to first be exchanged for a fiat currency before buying another digital currency. As we’ve already mentioned, Zebpay is working on introducing two additional cryptocurrencies: Ripple and Ethereum. At the current pace, developers are confident that launching support for these coins will not take longer than 3-4 months. The start of the new year has seen the company reach some other milestones, as well. Before 2017 was out, Zebpay was already serving 2 million customers, while the Zebpay app is frequently featured near the top among finance applications on Google Play and the App Store. One thing that makes Zebpay both peculiar and attractive compared to other wallets is the way it handles public addresses and private keys for cryptocurrency transactions. Instead of having its users keep track of both the address and the private key, Zebpay simplifies the process by processing that information, allowing users to purchase, sell, store and spend their coins more easily, using only their mobile number. The founders aim to create an app that is as easy to use as WhatsApp, and they plan to release updates in the future that will make it easy to make purchases using Bitcoin directly. Talking about the devil … Ahem, the Zebpay app, rather, is a free app currently hovering around number 18 by popularity in the Finance category both on the App Store and Google Play. Therefore, we simply must include it in this Zebpay exchange review. It has been among the most popular exchange apps since September 2016, when it crossed 100,000 downloads across both platforms. Later that same month, it had already been downloaded more than 100,000 times on Google Play alone. Right now, Zebpay is the number 1 cryptocurrency exchange in India, boasting more than 3 million users. Its success has made Zebpay kind of a public face for everything cryptocurrency related in India, with reports on Zebpay or interviews with the founders featured in Times of India, The Economic Times, Forbes India, Zee Business, The Indian Express and other publications. Zebpay’s open order book is extremely easy to use thanks to its intuitive interface paired with a top-of-the-line matching engine. Bank-level security: Both the wallet and all outgoing transactions and withdrawals are protected by a 4-digit PIN. Effective, yet less burdensome than most alternatives. Multiple coins available for trading: BTC, BHC, LTC, with more to come. Notifications and alerts, with the cryptocurrency price alert being the most notable. You can enable alerts for when cryptocurrency prices change. Helpful if you want to be able to buy or sell as soon as the price reaches a certain threshold. By accessing the in-app settings, you can easily set your own custom alerts. Home screen widget displaying cryptocurrency rates: You don’t even have to open the app to monitor how different cryptocurrencies change in value. By adding the widget to your home screen, you can glance at the rates and see if there are any changes instantly. Zebpay promo code: By sharing Zebpay with your friends and bringing in new users – people who are as passionate about cryptocurrencies as you are, you can receive a Zebpay promo code with free Bitcoins. It’s not an insignificant little gift, either. Depending on how many users join the network thanks to you, you can receive up to Rs 50,000 ($780) in Bitcoins. Of the features mentioned, the open order book was one of the Zebpay news introduced with the app Version 2.0, as well as Litecoin (LTC) and Bitcoin Cash (BCH) and several security enhancements. The new version of the app received a mixed reception, with many long-time users lamenting the changes. More on that in the following sections. When they introduced Zebpay 2.0, the developers wanted to address some of the more common complaints they received from their customers, as well as update the app’s look and feel. The intention was to keep up with the times and stay ahead of the curve in delivering state-of-the-art user experience. By adding two new cryptocurrencies, Zebpay’s old user interface had to go to make it possible to trade several coins. Revamped home screen: The entire user interface was updated. The menu icon has been moved over to the left side, while the top right of the screen displays the currently active cryptocurrency. Tapping the bottom of the screen switches between the trading screen, wallet and history. New address screen: Tapping the menu icon on the left of the screen opens additional options, the first one being “my address”. Choosing the option will automatically generate an address for the user. Switching cryptocurrencies: On the top right of the screen, you can access a drop-down menu which allows you to toggle between different cryptocurrencies. The choice influences both the trade and the address screens, since those are different for each cryptocurrency. New trade screen: Most of the changes made to the trade screen were aimed at making it easier to set your own custom buy/sell rates and to switch between different cryptocurrencies. The top of the screen displays the latest price and monitors price change and volume. The bottom of the screen allows you to access your trade history and check your orders. Overall, the Zebpay app is very popular and currently has a rating of 4.1 on Google Play. The rating used to be much higher, but it appears to have been negatively affected by the newest update. Apparently, users preferred the old app, and there now appear to be some issues with purchasing cryptocurrencies, including bugs which prevent the Zebpay wallet from displaying the funds. Nevertheless, the Zebpay contact team have a proven track record of tackling issues head on, and they respond to each complaint and each exchange review individually. The best advice we can give you is to monitor Zebpay’s Facebook page and the user reviews on Google Play and the App store, at least until the development team irons out the issues. Just to give you a taste of what Zebpay’s customers had to say about the Zebpay news, particularly the new app, we bring you a couple of randomly selected Zebpay exchange reviews – the good and the bad, so you can judge for yourself. Zebpay & India, Are Cryptocurrencies getting banned? In so many countries, particularly in Asia, cryptocurrencies are kind of in a tight spot. After China banned domestic and foreign cryptocurrency exchanges, it is no wonder that a lot of users are feeling anxious when it comes to India, too. The Indian finance minister, as well as its central bank, have been very vague, at times even capricious, when it comes to their stance on cryptocurrencies. What now? Will it finally happen? Is it all over for Bitcoin and Co.? First of all, Bitcoin and other cryptocurrencies are not illegal at all under any current Indian laws and regulations. This was confirmed by Nishith Desai Associates, a legal advisory firm, which was hired by the company to determine its legal standing. Even if the government’s current stance on cryptocurrencies takes a turn for the worse, Zebpay is going to be just fine, since the company is registered in Singapore, just in case. When talking about India’s national budget at the start of the year, finance minister Arun Jaitley stated that cryptocurrency will definitely not be accepted as legal tender, though. There are plans to punish everyone who makes purchases and uses cryptocurrencies to pay for the costs. Statements like these spread like shockwaves across the crypto community and have the power to affect cryptocurrency prices and trading worldwide. In other words, it is not exclusively an Indian issue, since it will eventually be felt both in the EU and the USA. That’s why we wanted to address them in this Zebpay exchange review. News of the finance minister mentioning cryptocurrencies with negative connotations, as well as the secretary of economic affairs setting up an expert panel to examine the effects of cryptocurrency trading, have been making the rounds in the Indian media, aimed at spreading a false message that Bitcoin is illegal in India. These insinuations are far from the truth, however. In fact, these new announcements have met with praise from Ajeet Khurana, head of the Blockchain and Cryptocurrency Committee (BACC) and other Bitcoin experts, who are happy that the issue of cryptocurrencies has been brought up and that the public is being exposed to all of this new information. The negative reactions and the bad press cryptocurrencies have been getting are a direct result of the public being uninformed, or, in some cases, even misinformed. Even the people who are intrigued by blockchain technology and the possibilities it offers don’t understand it enough to make an informed decision one way or the other. Even so, India is a huge country, with up to 5 million active Bitcoin traders. The trading volumes are on the rise in spite of the rumors, and there are no signs of them slowing down. Zebpay is one of the leading cryptocurrency exchanges in the country. To help the cause and spread awareness, Zebpay is also participating in outreach programs by releasing educational videos and white papers – all with the purpose of making the public more aware of cryptocurrencies, the associated risks, and the importance of making informed decisions before investing in or trading Bitcoin and other cryptocurrencies. The Internet and Mobile Association of India (IAMAI) and The Digital and Blockchain Foundation of India (DABFI) merged in November 2017 and formed a Fintech Council to raise awareness and build an advocacy platform for cryptocurrencies. Zebpay’s cofounder Sandeep Goenka was appointed the head of the council. Building upon Zebpay’s own policies, Goenka aims to strengthen the position of all cryptocurrency exchanges in India by focusing on approved banking channels and legitimizing cryptocurrency trading. It’s time to end this Zebpay exchange review, and we can certainly end it on a positive note. This exchange has everything you need for cryptocurrency trading if you’re looking to trade Bitcoin, Bicoin Cash or Litecoin. The people running the show here are experienced and have already proven themselves on numerous occasions, so you know exactly what you can expect when you open an account here. We would even go so far to say that this exchange is the reason why cryptocurrencies are so popular in India. Millions of people in this huge country are trading there every they, with more and more traders joining them every day from all over the globe. Therefore, if you need a trading partner of the highest caliber, especially if you are from India, don’t hesitate and open an account right here. This is the best move you can make in your trading career.